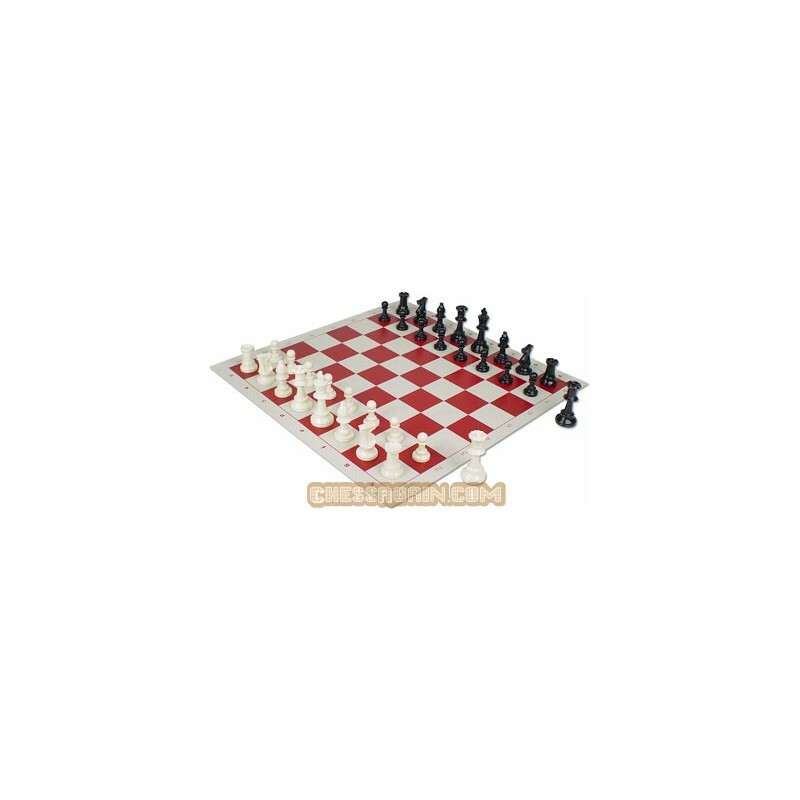 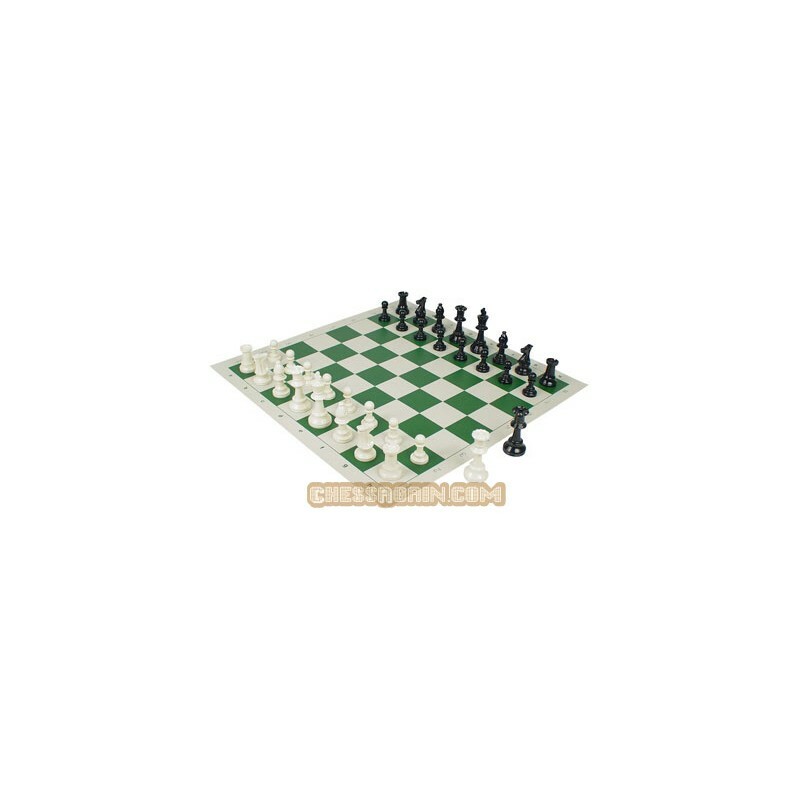 These Basic Vinyl Chessboards are the same ones offered by every other chess store and meet all tournament standards. They are made of vinyl that easily rolls up for storage. 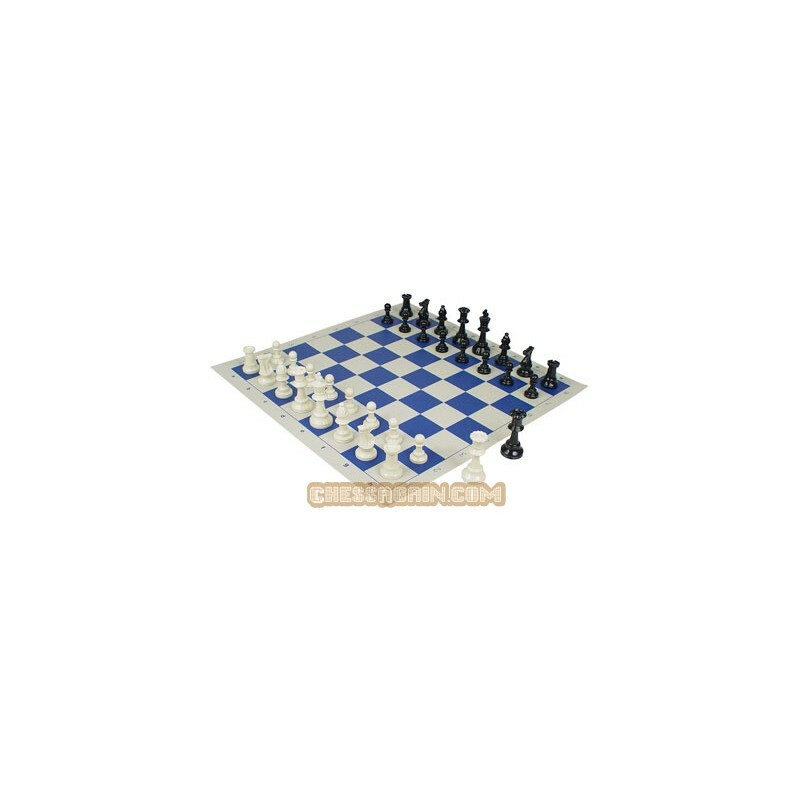 These basic vinyl chess boards are made from a lighter vinyl than our Quality Vinyl Boards but have the same durabiliy. 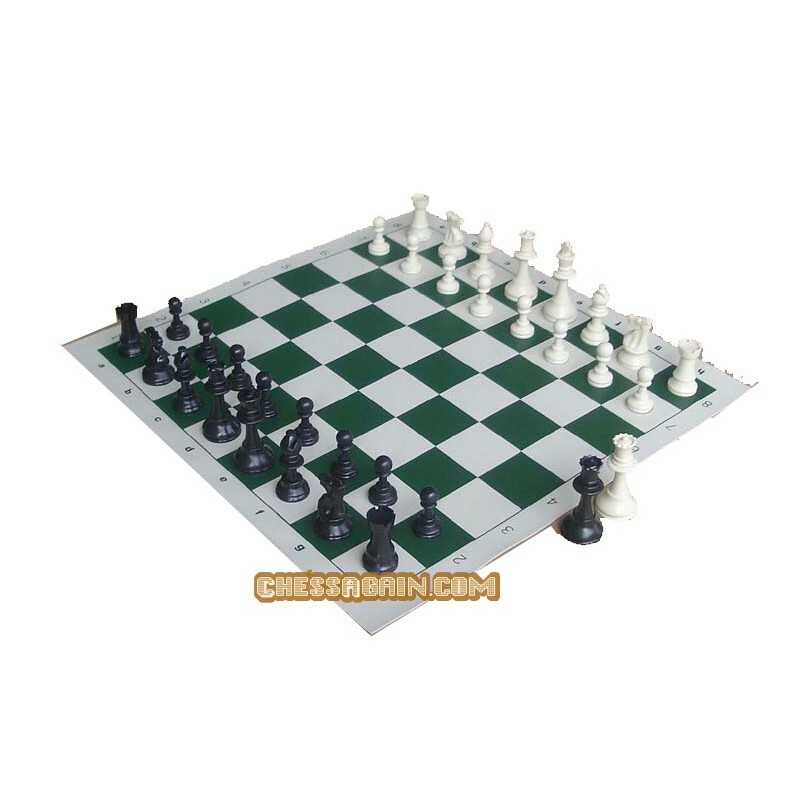 These Bigger Analysis Size Chess Pieces still perfect fit for the standard desk and younger students and fit our 20" x 20" with 3 3/4'" squares chess board,They are ideal for a quick viewing of your game with friends on the tournament hall floor, or work great for smaller desks at schools. 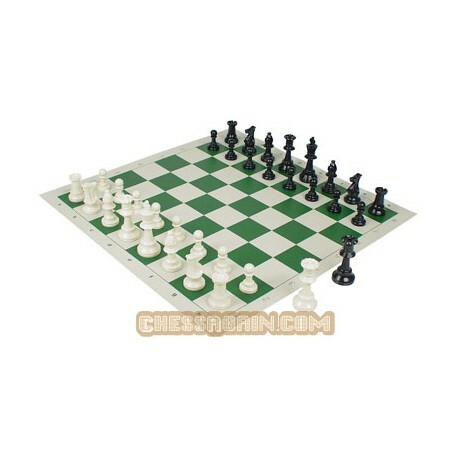 The small chess pieces are made of solid plastic and have a very nice feel and color.